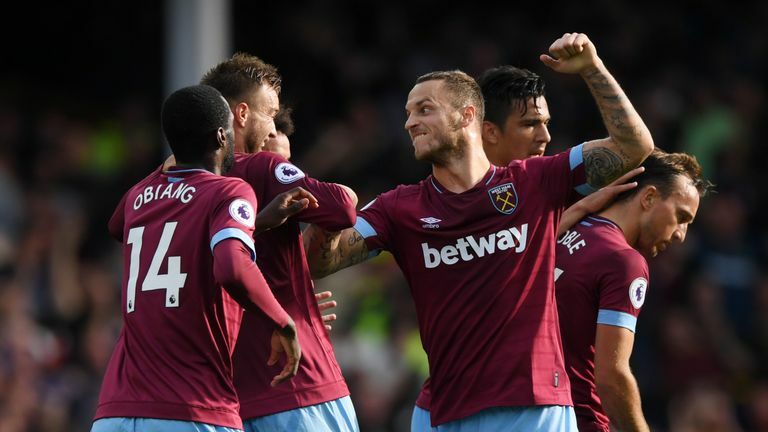 West Ham finally won their first Premier League game of the season as Andriy Yarmolenko's first-half double saw them beat Everton 3-1 at Goodison Park on Sunday. Yarmolenko gave West Ham an 11th-minute lead with his first goal for the club, before doubling the visitors' advantage with a delightful curler just past the half-hour mark. However, Gylfi Sigurdsson's bullet header gave Everton a lifeline in first-half injury time - the attacker's first league strike since February - only for Marko Arnautovic's third goal of the season to restore his side's two-goal cushion after 61 minutes. As a result, the Hammers jumped up from the bottom of the table to 16th, while Everton stay in 10th place having won only once so far this campaign. West Ham may have come into this match still looking for their first points of the season, but Manuel Pellegrini's side started on the front foot at a flat Goodison, their minds perhaps cleared after the recent international break. 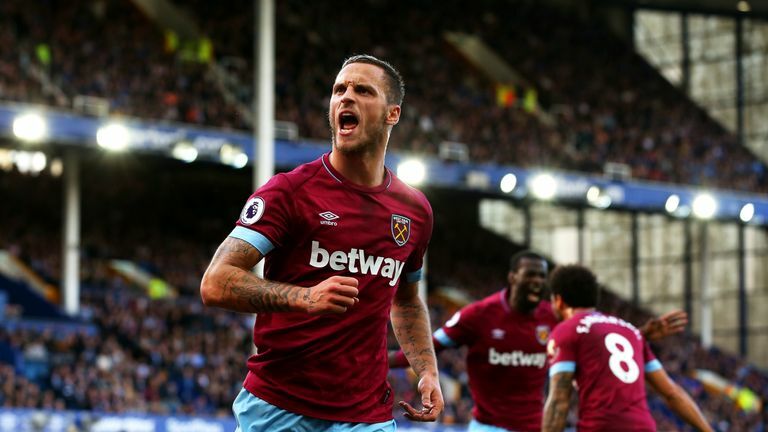 The visitors opened the scoring early on as Pedro Obiang and Arnautovic exchanged passes in midfield, before the Spaniard's ball over the top released the forward, who unselfishly squaring for Yarmolenko to sweep home his first goal since December 2017. Just like waiting for London buses, the Ukraine international - making his first Premier League start since his summer move from Borussia Dortmund - then added a second after 31 minutes. Jordan Pickford's poor clearance was intercepted by the alert Mark Noble, who found Yarmolenko on the right edge of the area. However, the winger still had a lot of work to do to score, only to cut inside Kurt Zouma and Lucas Digne, before curling an unstoppable effort into the far corner. With the home fans starting to fret, though, Everton got back into the contest just before the break as Sigurdsson met Jonjoe Kenny's inch-perfect cross from the right with an unstoppable header. But if the home faithful thought that goal would be a catalyst for a second-half revival, they were mistaken with West Ham the next scorers just past the hour-mark. 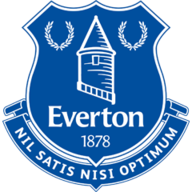 Everton made two changes from their draw at home to Huddersfield last time out, with Jonjoe Kenny and Idrissa Gueye replacing the injured Seamus Coleman and Tom Davies. The visitors made six changes from the side that lost 1-0 at home to Wolves before the international break. That meant starts for Pablo Zabaleta, Arthur Masuaku, Pedro Obiang, Mark Noble, Declan Rice and Andriy Yarmolenko. Again Obiang and Arnautovic linked up well with a neat one-two on the edge of the area, with the latter finishing confidently, the 12th goal the forward has been involved in for his team in their last 11 away encounters. Marco Silva, who suffered his first defeat as Everton manager, will no doubt point to a host of chances wasted by out-of-form striker Cenk Tosun, while his replacement in attack - Oumar Niasse - also hit the bar late on. But anything other than a first league win at the fifth time of asking would have been cruel on Pellegrini, who got the perfect 65th birthday present. Southgate will no doubt have noted Jordan Pickford’s mistake that led to West Ham’s second goal. However, the watching Steve Holland will surely have been impressed with Declan Rice’s composed display in front of the visitors’ back four as the midfielder waits to decide which country to represent. It would have been interesting to see if the yellow dished out to Arthur Masuaku five minutes before half-time after the West Ham left back's boot caught Theo Walcott dangerously on the neck would have been upgraded by the VAR. Arnautovic ran the show against Everton, scoring one goal and making another. Everton knew exactly what to expect, but being able to stop the big Austrian is another thing entirely. He offers a different challenge to most strikers as he's not fast ­or strong - he's both. Arnautovic won 75 per cent of his aerial duels, and was West Ham's fastest player at Goodison Park. He had only 23 touches before being taken off, but he made sure he made them count. 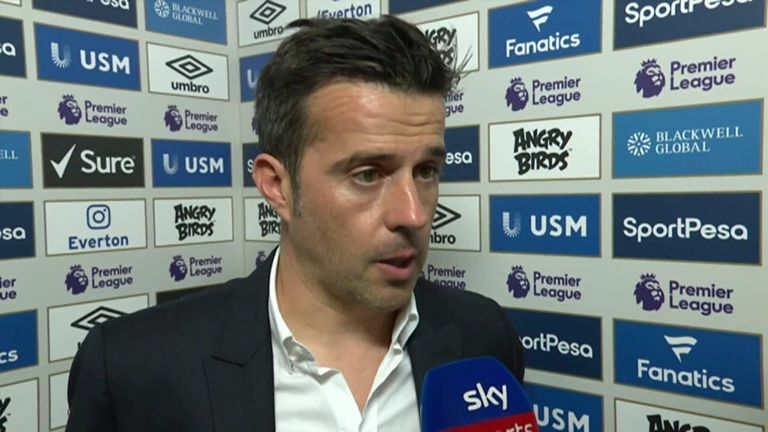 Marco Silva: "We weren't good enough to win the match. Our first 10 minutes was good, but our first mistake we made - we prepared for, our opponent winning the ball and looking straight to Arnautovic, we prepared for it but we made too many mistakes. "We reacted but there was a second mistake. We changed the formation and got back into the game, but even before we had two clear chances. In the second half we developed clear chances - they had three and scored three, we had four or five and scored one, even with not playing well. "When you win, you win together and when you lose it's not just about our strikers. For the first goal we had to do something different. It's a big lesson for us to learn, as I've told our players, and we need to learn it quickly." Manuel Pellegrini: "I was worried about the game, because I was absolutely convinced we must win. We have been very unlucky to lose the three last games, as I said in the press conference maybe we didn't deserve to win but we didn't deserve to lose either. "It's easy to change and say this isn't the right way, but i am completely convinced it is. We tried to score goals form the first minute and we did it. "I didn't know how close a performance like that was, but I see the players working every day, and maybe in matches we haven't been able to perform like that but we must be able to repeat it during games, under pressure or with bad comments about our performances." "Since he became a forward player, he saw it as part of his job (to score goals). You saw his goal, but the run in behind for their first goal, he is a threat. "I think if he played for Everton today, Everton would have won the game because every time, especially in the first half, Everton looked to play into Cenk Tosun. And I thought they lost the ball and the first goal comes from it. "Whereas anything that got played into Marko today, he set it, laid it, he spun in behind, he went again. He makes the first goal that way, he makes the second goal that way. "So I think if he had been playing for the opposition today, he would have been a real handful for anybody." Everton take on Arsenal at the Emirates on Super Sunday next weekend, a match you can see live on Sky Sports Premier League. 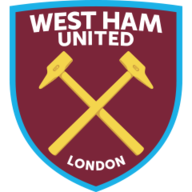 Meanwhile, West Ham are also in action next Sunday, with the Hammers facing Premier League leaders Chelsea at the London Stadium, live on Sky Sports.